Located just off Hwy 101, Frye Cove Park is a popular site for weddings, picnics, and shellfish harvest. 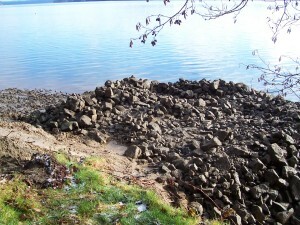 It was acquired in 1973 by Thurston County. It’s named after George W. Frye who owned the property on the shore north of Flapjack Point. The largest native Littleneck ever recorded by WDFW shellfish staff came from this park, measuring 3.9 inches long and weighing close to ¾ of a pound. 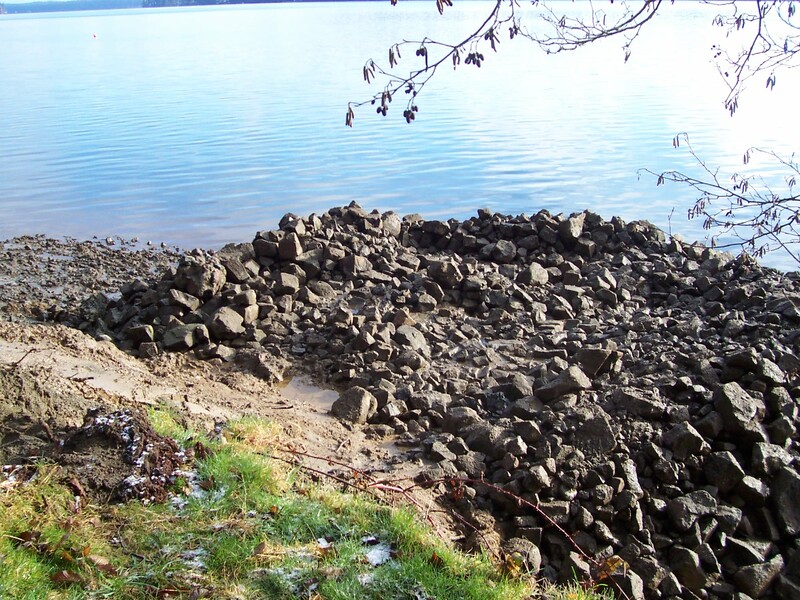 Completed in partnership with Myron Saikewicz and Irene Boldt, SPSSEG developed and installed soft shoreline armoring alternative along the Puget Sound near shore. The original bulkhead was built of concrete blocks that encroached upon the beach. 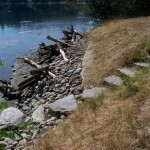 It was replaced with a boulder and large woody debris (LWD) alternative. Construction was completed in 2008. 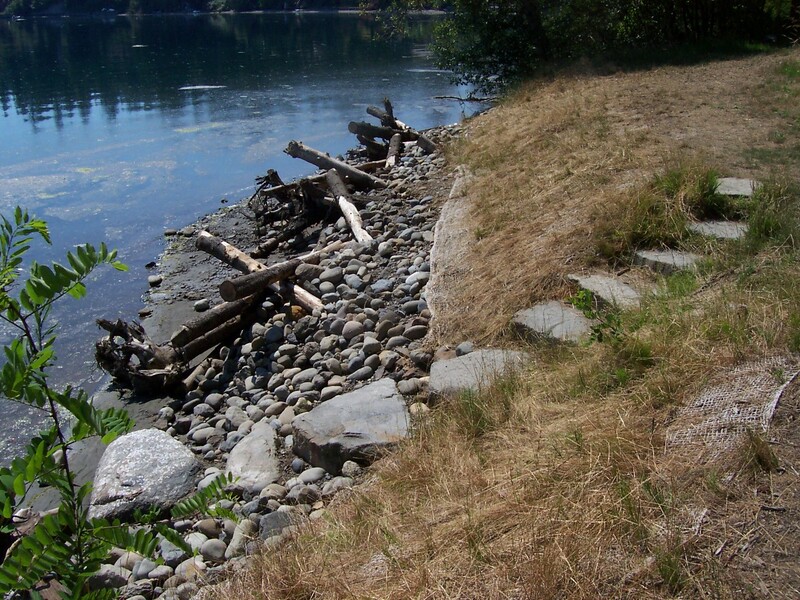 This nearshore project removed 450’ of a rock rip rap bulkhead along a small pocket estuary at Frye Cove County Park, restoring natural beach profile. 73 pieces of LWD was incorporated into the final design. This project was completed in 2009 and funded by SRFB.